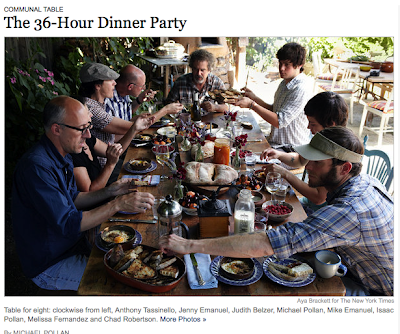 No real post today, but I recommend checking out Michael Pollan's article in this week's New York Times Magazine, in which he chronicles an epic 36-hour dinner party. 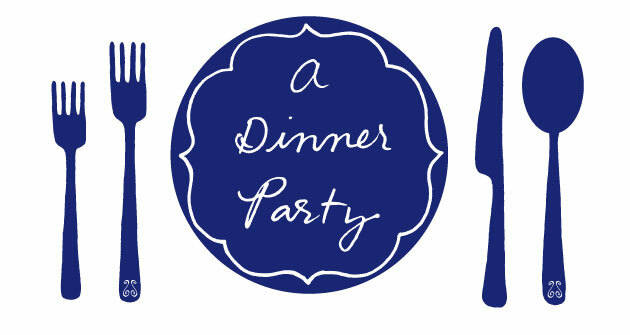 Don't worry, the guests weren't held hostage and forced to eat during that entire time. A group of Bay Area chefs and food lovers used a single wood fire to cook an impressive number of delicious-sounding dishes for breakfast, lunch, dinner and a second lunch, all over course of one weekend. Like most of Pollan's work, it's a thoughtful piece on how and why we eat, as well as a completely different take on the traditional dinner party. Love the stuff he writes. Thanks for linking too it. Me too. Glad you enjoyed. Thanks for the RT! As my friend says, do you believe in lunch after lunch?